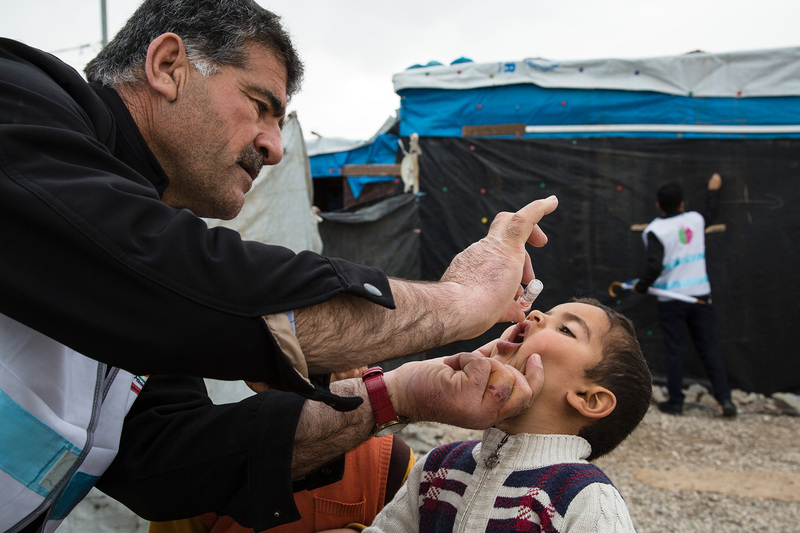 In Iraq, polio vaccinators work to protect conflict-affected children. 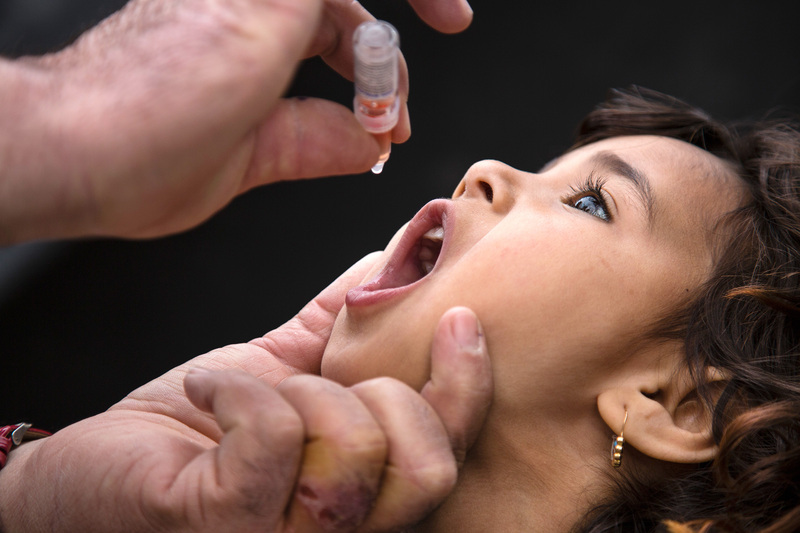 Efforts to protect children from polio take place all over the world, in cities, in villages, at border checkpoints, and amongst some of the most difficult-to-access communities on earth. Vaccinators make it their job to immunize every child, everywhere. 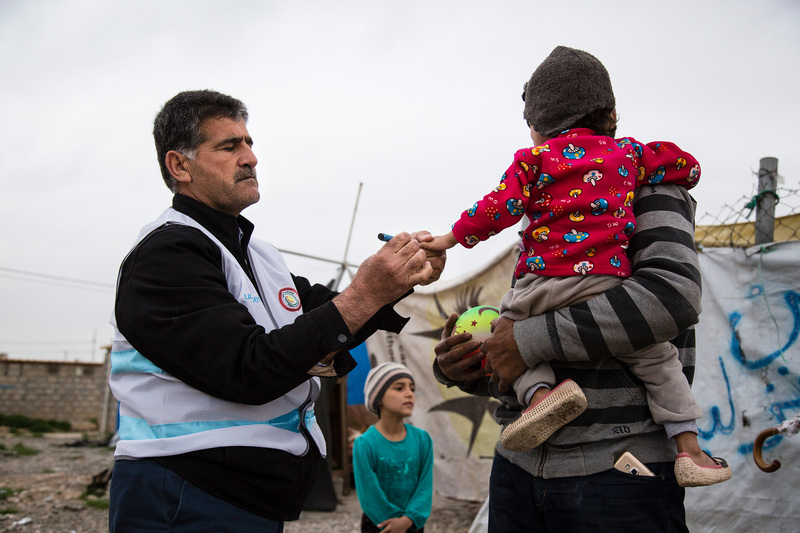 In places where families are displaced and on the move due to conflict, it is especially important to ensure high population immunity, to protect all children and to prevent virus spread. 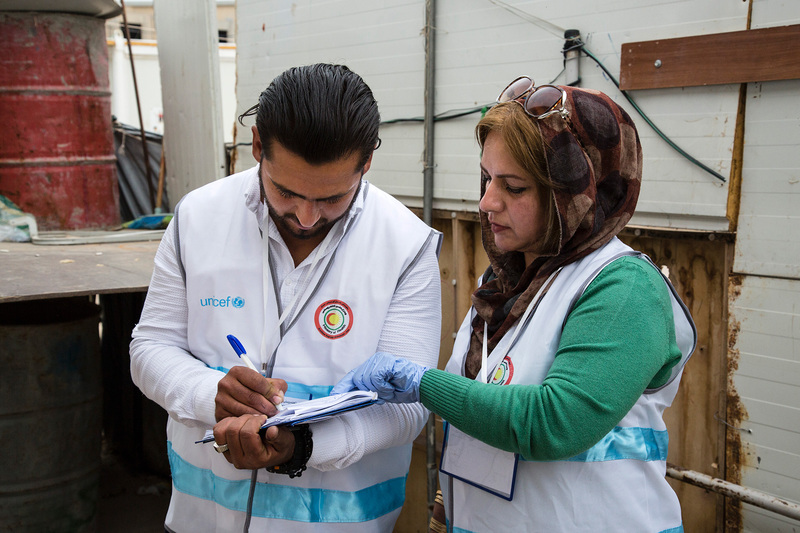 In Iraq last month, vaccinators undertook a five-day campaign in five camps for internally displaced people around Erbil, in the north of the country, as part of the first spring Subnational Polio campaign targeting 1.6 million children in the high risk areas of Iraq (mainly in internally displaced person camps, and newly accessible areas). 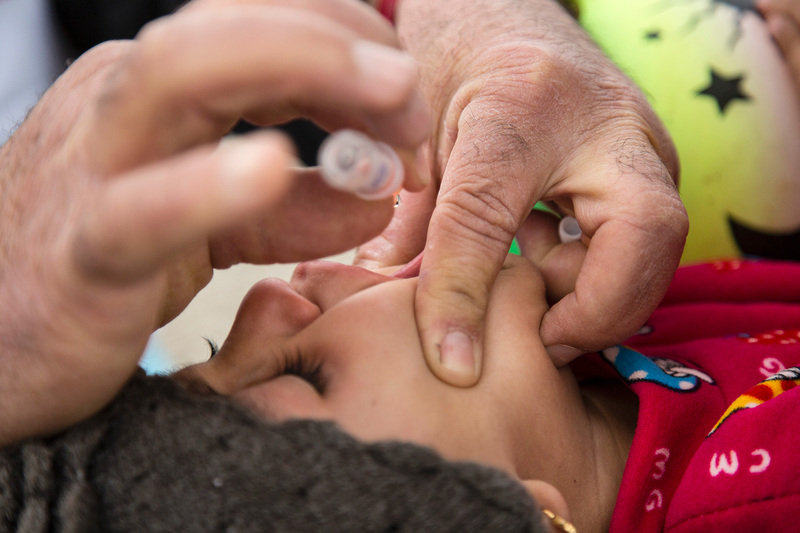 Iraq has not had a case of indigenous wild poliovirus since 2000. 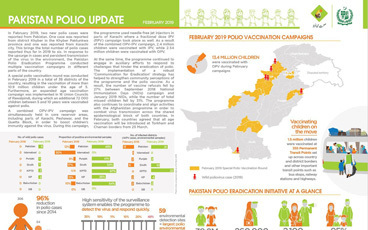 However, due to the drastic drop in immunity in the country after years of conflict, two children were paralyzed when wild poliovirus was imported in 2014. Poliovirus spreads from person to person, transmitted through populations. 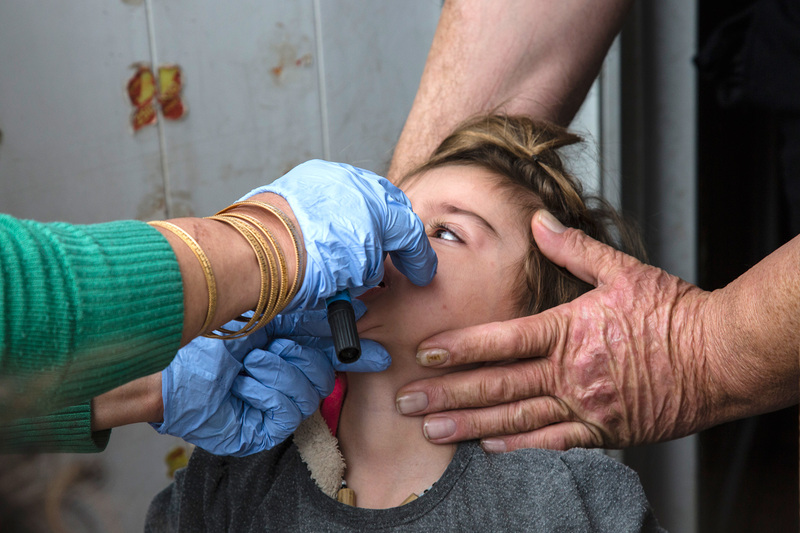 Last year, there were 74 cases of polio in Raqqa and Deir ez-Zor governorates in Syria. Over the border in Iraq, children in Mosul and Anbar are deemed to be at high risk of being infected because of the history of regular movement of armed groups between the two countries. Violence has caused many families to leave their homes – potentially carrying the virus with them as they travel to internally displaced persons camps and other destinations. Baharka camp, one of the five internally displaced persons camps near Erbil, is where many families from Mosul, Anbar, and other areas currently reside. During the polio vaccination campaign, male and female vaccinators walked tent-to-tent to deliver vaccine to all children under the age of five. Their aim was to ensure whole-camp immunity by finding and protecting every child. Polio has no cure but it can be easily prevented. With just two drops of oral vaccine, taken multiple times, a child is protected for life. After visiting a household, the vaccinators marked on wood, stone and canvas how many children had received vaccine, along with information about any vaccine refusals. Over the course of the campaign, vaccinators aimed to reach 4203 children. 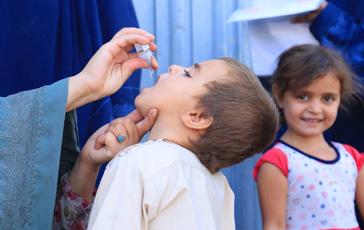 As well as twice-yearly vaccination campaigns, health workers in the Erbil camps look for signs of Acute Flaccid Paralysis (AFP) amongst children living there, which is one of the most common indicators of polio. 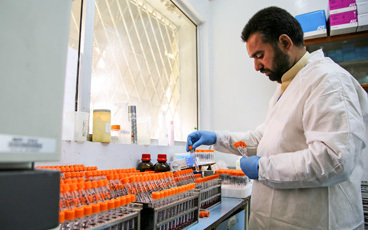 Any suspected cases are recorded, and investigated through the poliovirus surveillance network. Since surveillance began in the camps, thirty AFP cases have been discovered and investigated for signs of the virus. Since 2014, more than five million civilians have fled their homes inside Iraq. At the same time, families are returning to places where instability has lessened. As many as two million displaced Iraqis are likely to return home this year, which means children will be on the move once more. This makes the vaccination of every child even more important – allowing them to travel safely, and be protected from virus when they reach their destination. Some families choose to go home, but keep a safe place to flee to should violence return. Since Baharka camp opened, a number of families have travelled back to Mosul, but have maintained their displaced person status and a caravan in the camp. 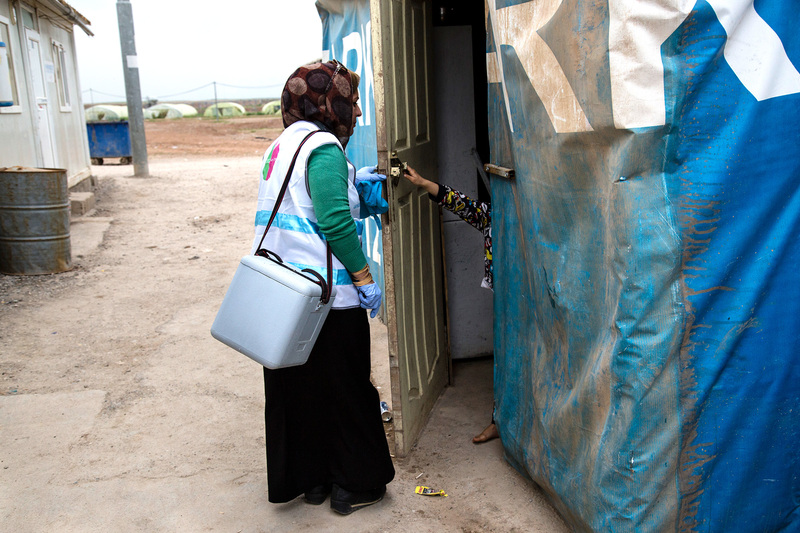 The World Health Organization carefully monitors the names and caravan numbers of the children in these groups, to ensure that vaccinators visit them whenever there is a campaign. 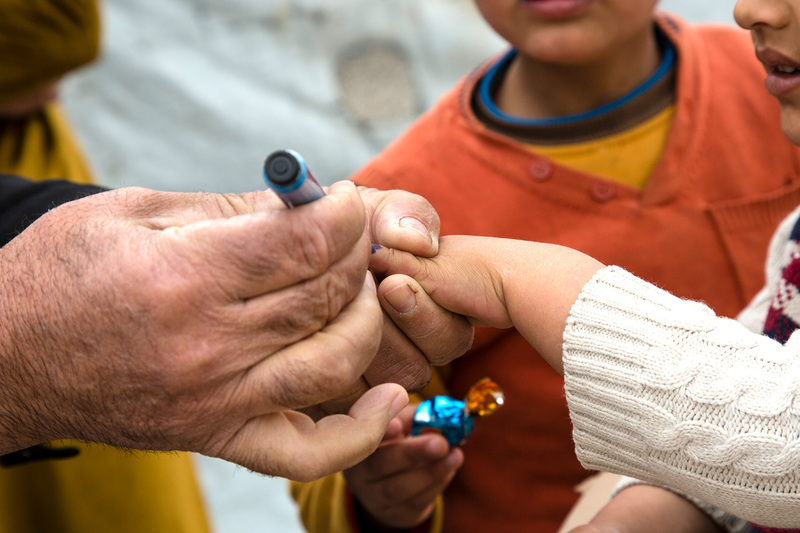 Once vaccinated, each child has their little finger stained purple – an easy way to prevent children being missed. 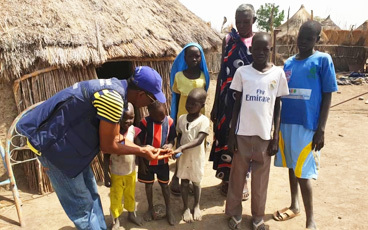 Alongside the children protected in Baharka camp, the Global Polio Eradication Initiative partners vaccinate over 400 million children every year. 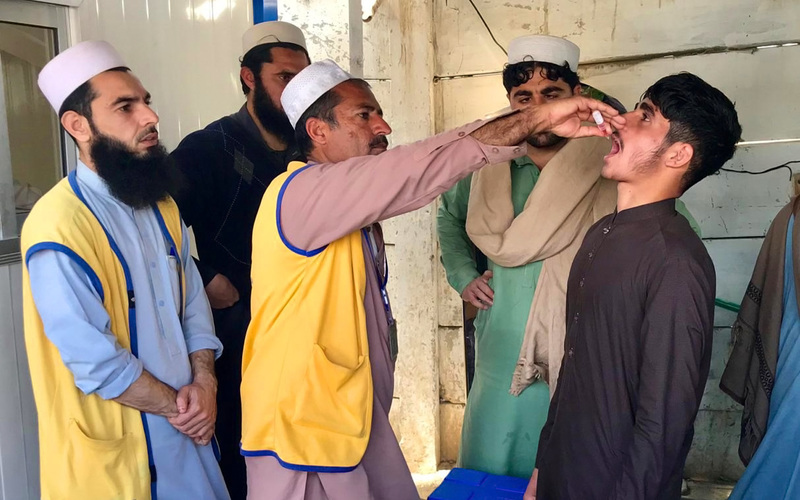 Efforts to eradicate polio also help to fight other diseases at the same time, whilst the valuable polio eradication infrastructure, data and tools can help to strengthen the health systems of conflict-affected countries. 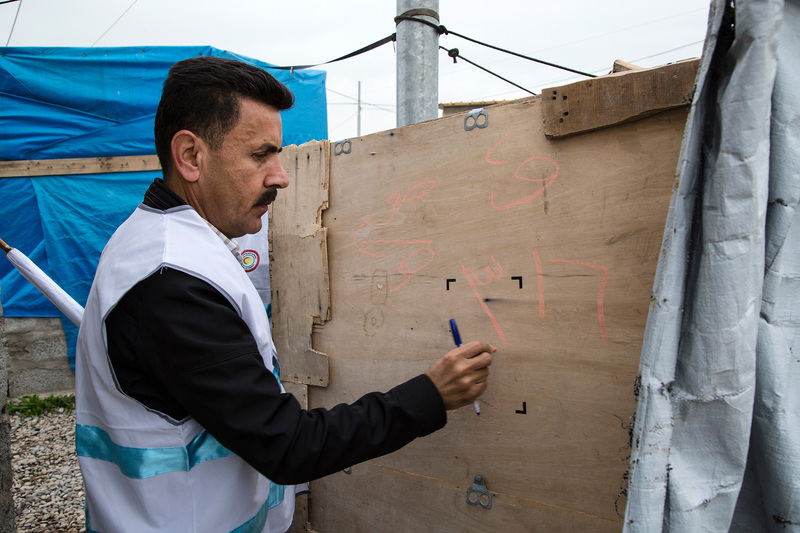 Thanks to the devotion of vaccinators and health workers, the displaced children of Mosul and Anbar are protected together from the virus. When they return home, they won’t have missed out on a valuable health intervention – allowing them to lead healthier, polio-free lives in the future.